Summer weddings can be the highlight of the season for both the families involved in the wedding, as well as their guests. 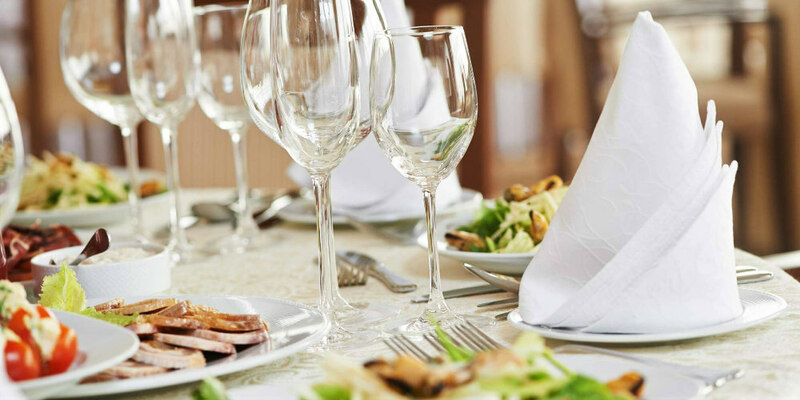 Your setting and menu choices will leave an impression on your guests, and hopefully it’s a great one! One way you can lead your guests to a positive outcome is incorporating fun, festive summer drinks which fit the theme of your wedding. What better way to give your guests something to talk about than choosing summer wedding drinks that they love? Here are some ideas for drink options that fit a variety of themes and tastes! This adapted Kentucky Derby classic from Epicurious incorporates all of your favorite elements of the cocktail and works for weddings who want a touch of sophistication. In julep cup, stir together club soda and sugar until sugar just begins to dissolve. Add mint leaves and, using glass muddler or back of large spoon, gently press leaves into sugar syrup until slightly darkened but not completely crushed. Add whiskey, then fill cup with crushed ice and, using long spoon, stir briefly. Tuck mint sprigs into top of cup and insert short straw. The Realistic Nutritionist shares her take on a Southern drink your guests will love regardless if you’re incorporating the theme’s elements in a subtle way or have a full-blown country wedding. Mason jars are optional but add a nice touch! Use a citrus juicer to extract juice from grapefruit. Remove seeds. Pour grapefruit juice into a chilled martini mixer with ice. Add gin and shake. Pour mixture over ice cubes in a chilled glass and garnish with fresh mint. Delish offers up a fan favorite with this mojito slushie recipe! Your guests won’t have to worry about their ice melting in this super cool take on the traditional drink. Add the lime juice, agave, mint leaves, lime zest, and rum to a blender. Blend until smooth. Fill the blender to top with ice and blend until slushy. Pour into glasses, garnishing each with a sprig of mint and a lime slice. Seasonal fruits are always a good bet when you’re serving summer cocktails, and this cocktail from Country Living pulls all the punches, balancing flavor and the cool tastes of summer. In a blender, puree frozen raspberries and 2 tablespoons sugar. Set a fine sieve over a small pitcher and strain puree; set aside. Rinse blender, then puree peaches with remaining sugar, lemon juice, and 3 tablespoons cold water. Spoon 2 teaspoons raspberry puree and 2 teaspoons peach puree into each glass. Top off each cocktail with champagne and garnish with fresh raspberries. Serve warm or at room temperature. Want to serve a drink that is enjoyable but has a kick? This recipe from Cooking Light is perfect for that! Combine first 3 ingredients in a medium saucepan over medium-high heat; bring to a boil. Remove from heat; stir in cilantro and jalapeño. Let stand 30 minutes. Pour jalapeño mixture into a large bowl; cover and chill at least 3 hours. Combine 2 tablespoons sugar and salt in a shallow dish. Rub rims of 8 glasses with 1 lime wedge. Dip the rims of glasses in sugar mixture. Strain cilantro mixture through a fine sieve over a bowl, discarding solids. Stir in lime juice. Fill each prepared glass with 1/2 cup ice. Add 3/4 cup limeade to each glass. Garnish with remaining 8 lime wedges. Does your wedding have a beachy theme? Incorporate those elements with this All Recipes take on the timeless fruity drink! 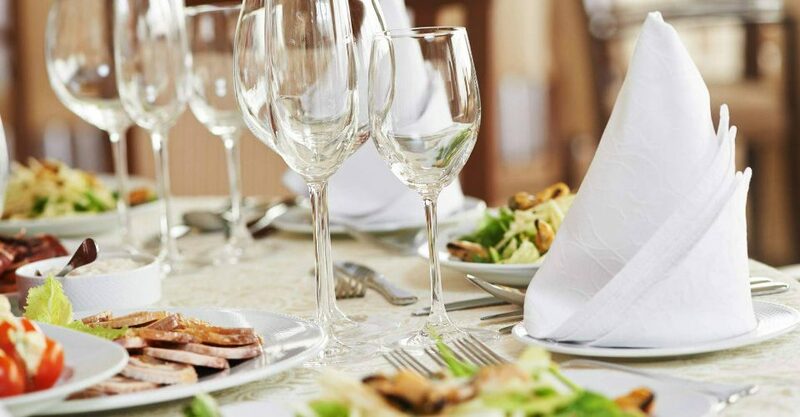 You don’t have to look far for fun and unforgettable weddings at our lovely banquet hall or delicious catered meals for your event! To learn about our available menus and pricing information, contact Catering by The Christy at 314-345-0045 today.